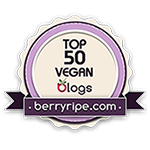 I regularly read a great blog called I Eat Trees that often features delicious and tempting vegan ice cream recipes. I kept seeing the author post recipes from a cookbook called Lick It, and I finally did some research and found the book at my library. I picked it up yesterday and now I can't wait to make some ice cream! I'm really excited about making the pumpkin spice dessert. I think that will go along perfectly with the upcoming holiday, don't you? Or, better yet, what do you think the best flavor would be that doesn't exist yet? My favourite ice cream is coconut but I've never been able to make it myself!